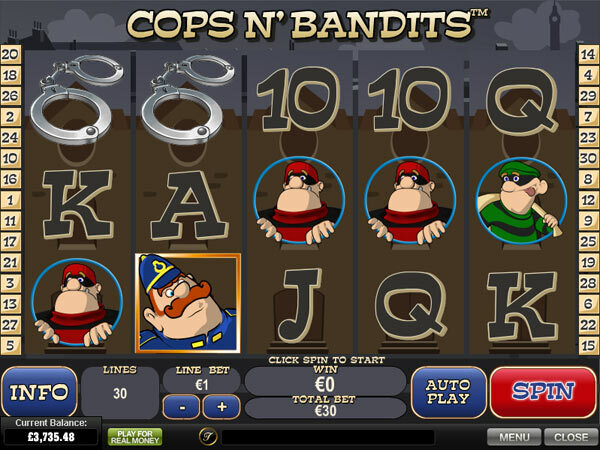 The object of Cops 'N' Bandits is to obtain a winning symbol combination by spinning the reels. Be the good cop in this new Playtech video slot machine game and catch the villains. The bandits will try and steal all your cash winnings so you must get to them first. 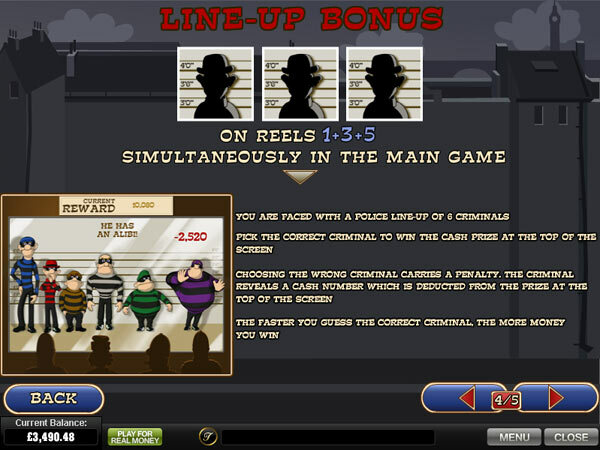 The game has 30 Paylines and a great bonus game where you must pick the bandit out from the identity parade. You can also get 3 scatter shield symbols to win yourself free games with extra bonus cash.